Laura Jane Boggess was a flight attendant (or stewardess as they were then called) before World War II. She was one of the two stewardesses on Seaboard's first passenger flight in Sept. 1947. They were borrowed from Transocean Airlines because Seaboard did not yet have its own stewardess department. Laura Jane subsequently married the navigator on that flight, Henry Heguy. The Heguys spent eight years in Luxembourg where Henry served as Seaboard's European manager. Before they left Luxembourg in 1956, they were honored at a dinner, as seen here. On Oct. 17, 1980, shortly after the merger with Flying Tigers, Laura Jane Heguy dedicated the new Boeing 747F, N816FT, the "Henry L. Heguy". Laura Jane is survived by her sons Thomas & his wife, Susan; Douglas & his wife, Linda; grandchildren, and great-grandchildren. 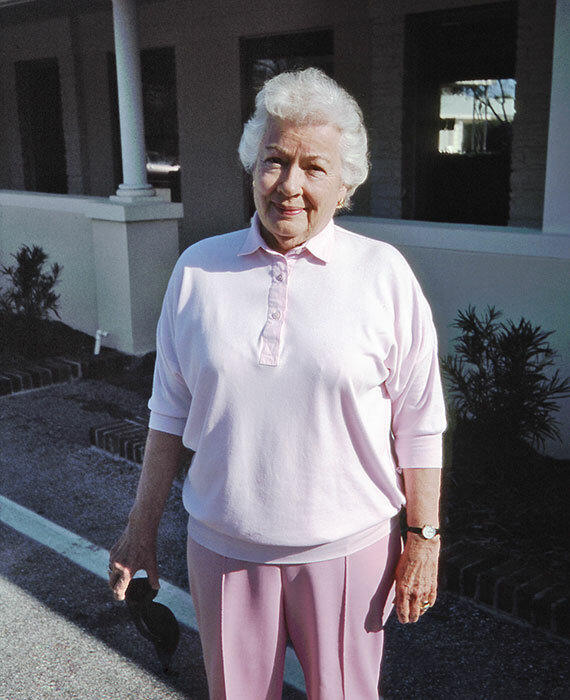 She is seen here in 1997 at the her home in Hilton Head, S.C.